Maybe you can send him one of your partial bottles to try it out??? Know way hose A! The Batcave Goth Ball is on Black Friday and if my costume isn't 100%, Tabitha Hemlock, the president of The Vermont Nightshade Consortium, will put a curse on my Frankenmullet! 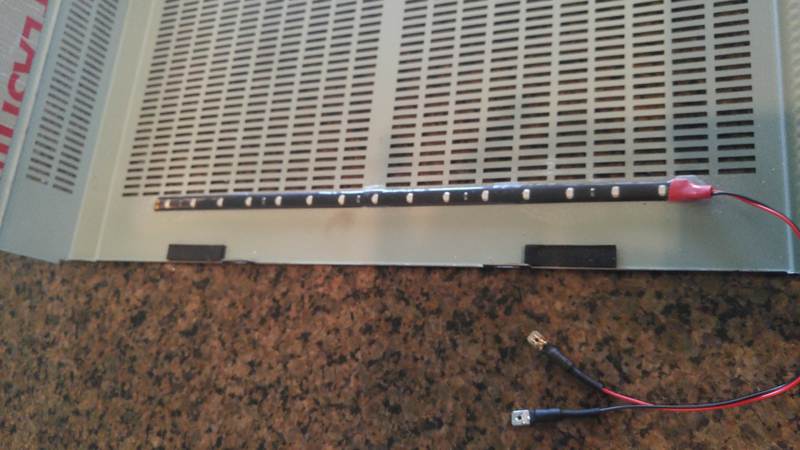 Will strong neodymium magnets attached to the sheet metal cover affect the transformer/power board or phono section? 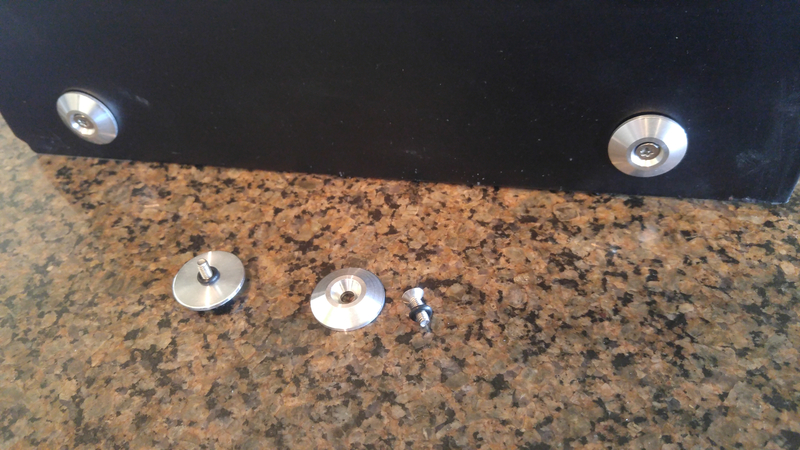 I'm beginning to get the feeling that no one has set the precedent for magnetic attachment method. I'll refrain and side panel it another way to be safe from the unknown. Yeah, I don't think you want magnets near the transformer. Big Caps installed. 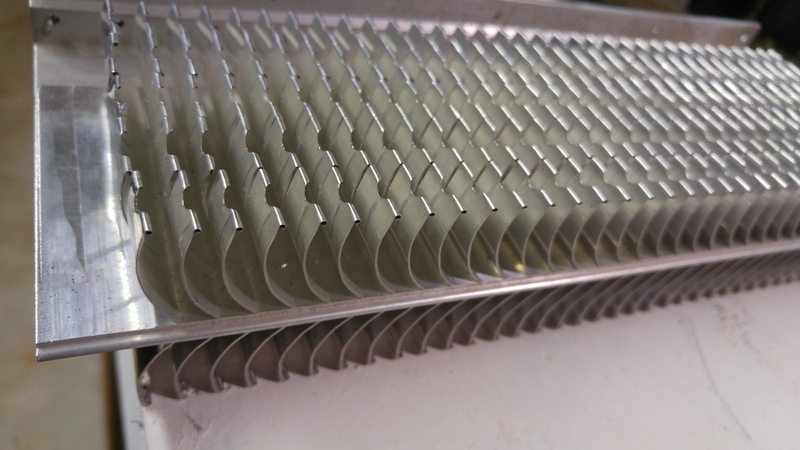 They will literally be about 1/8" from the top cover. 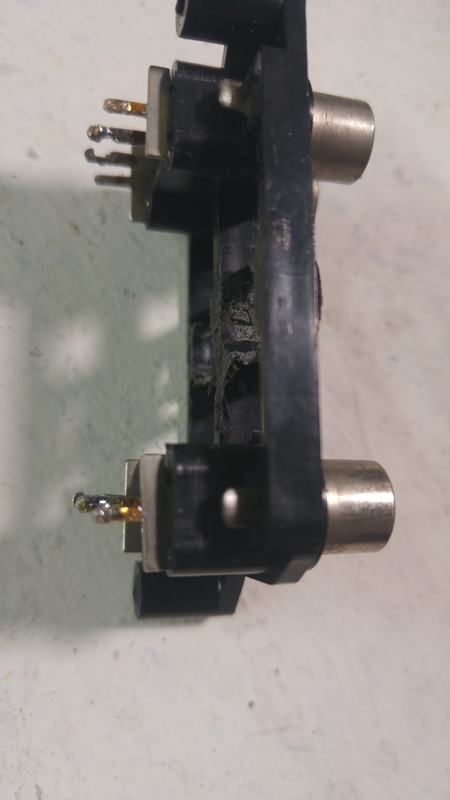 Is that ok, or do I need to put an insulator between the two? Replace or not since it is the only one that I could not get in FG series? If it were me I'd definitely put something between the caps and lid. Just to help keep from lid contact? Be careful what you use. The tops of the caps are normally scored to allow them to expand or pop open, rather than explode. That was my thought as well. I don't know would a couple of those little silicon stick on dots work? 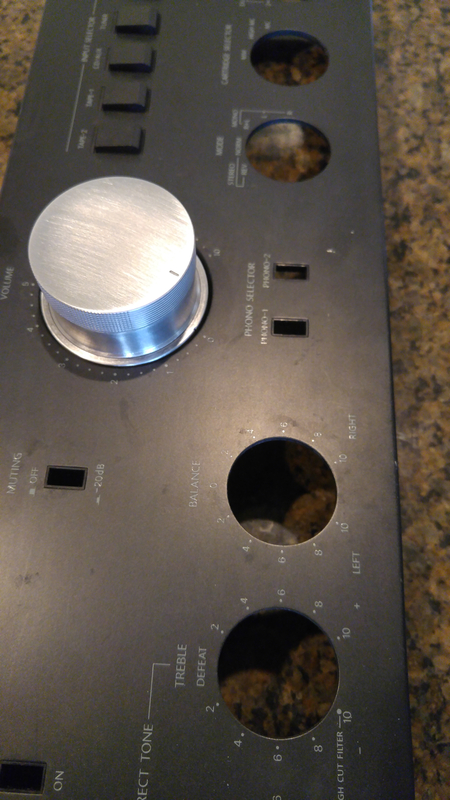 Ok I temporarily put faceplate on which raised to 3/16" clearance. Still close. Ill check the melt pt. of PVA foam and go from there. 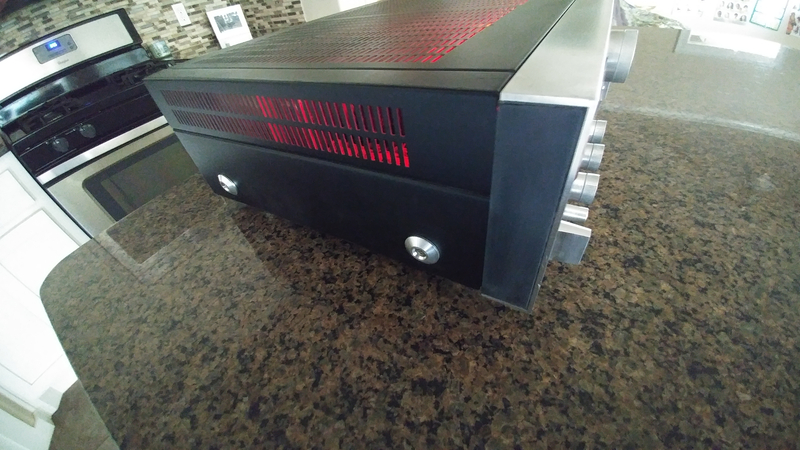 Fired it up on bench with CD player and this fixed the miniscule right channel hum that I would hear at half past volume. Will drop in small ones later tonight. How long to burn in the Big caps before they're at full maturity? Ha, I thought you were mounting those with the terminals up. Since that is not the case you don't need to put anything between the caps and the lid. 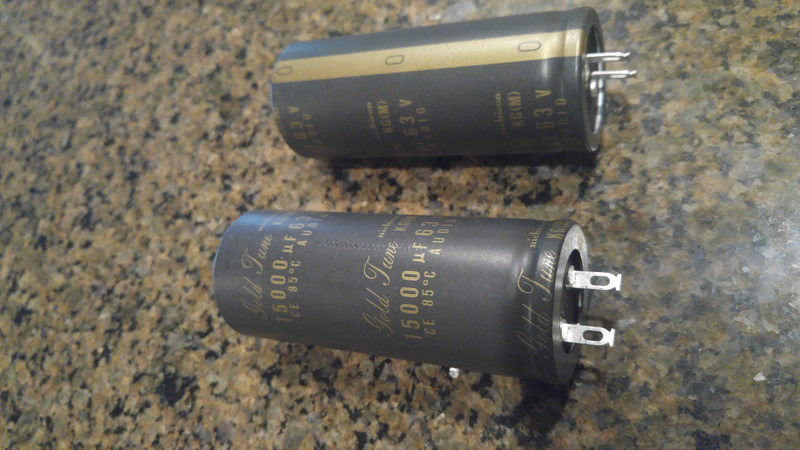 Small caps done ...Can anyone point me in the right direction to get a couple of newer precision variable resistors? I wanted to get another opinion or two before proceeding.... The service manual shows 10k for the VR's (R538, R638). 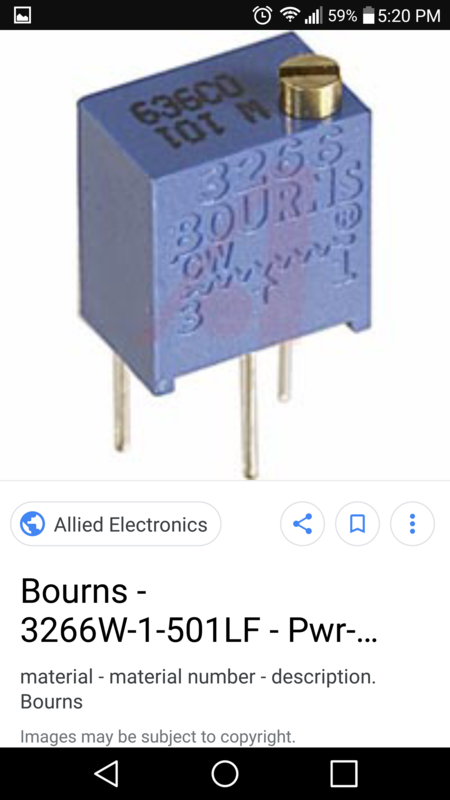 I found a style of "Bourns" brand that has the same 5mm pin width as the a-8017 board. 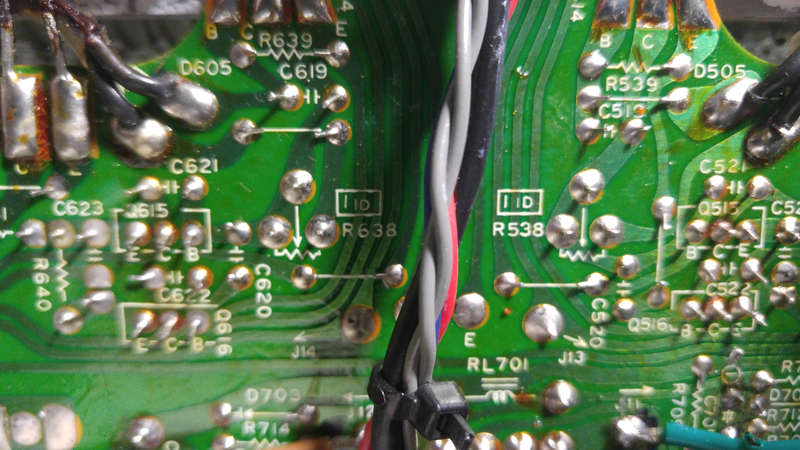 Does it matter which one to install since two of the points are connected via trace on the factory PCB? Pics for reference only. I'll be getting the w-103 version. 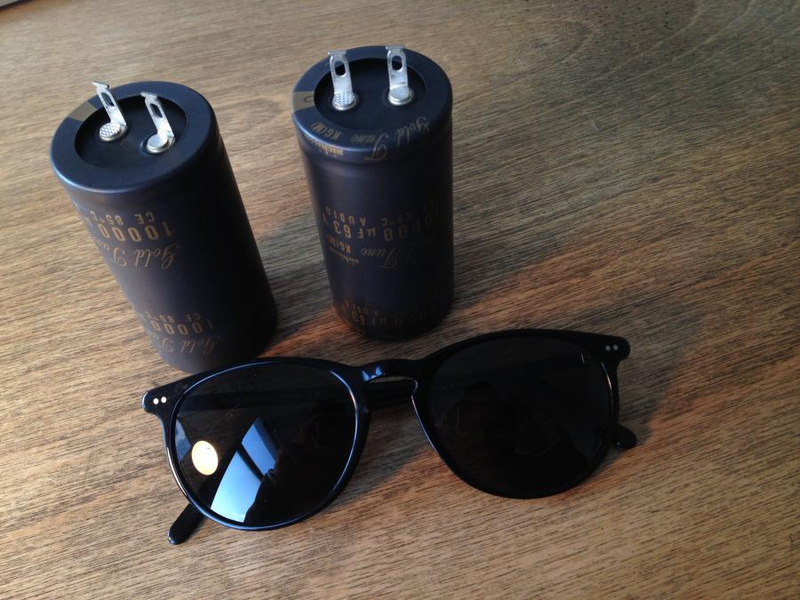 No one likes the cheap 25 cent pots that a lot of electronics use. 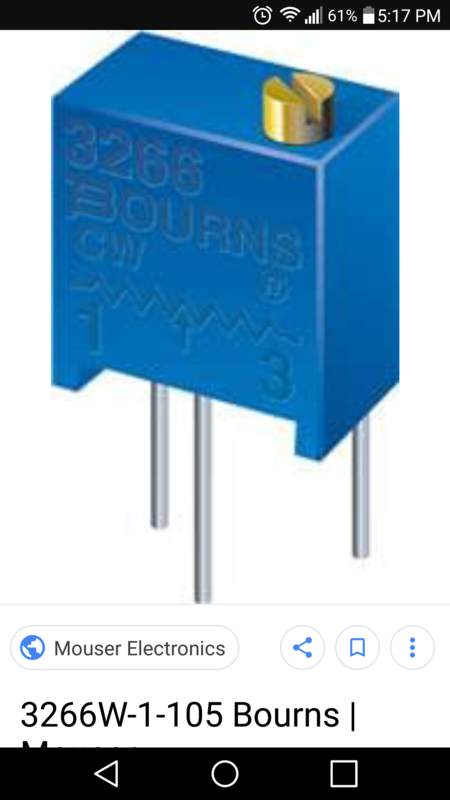 But I read somewhere where where the precision resistors don't work as well for high current applications. 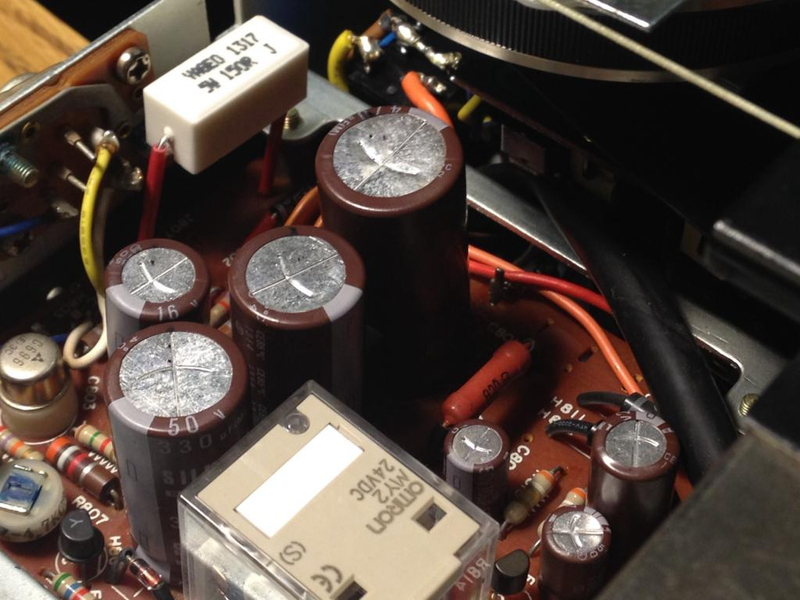 Make sure you look at the amp specs of the precision resistor. Not sure if this is an internet legend or what role the pots play in your circuit. It could be total BS. Just throwing what I heard out there. 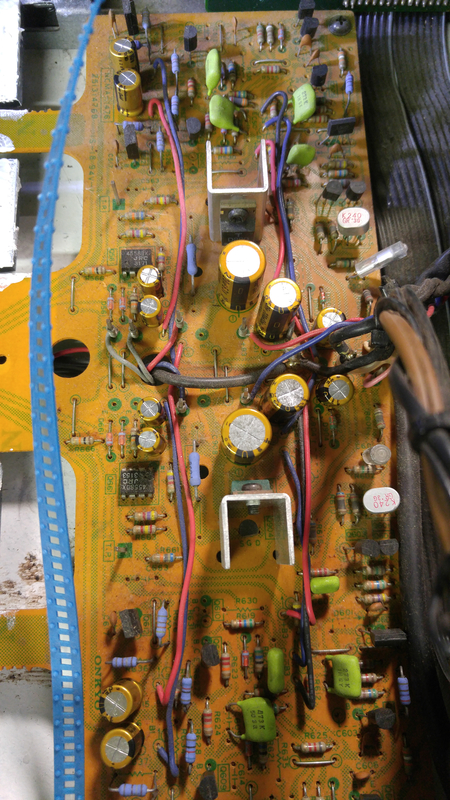 Yes, the service manual calls for .25 Watt and that's what these Bourns are. The factory ones are so finicky. 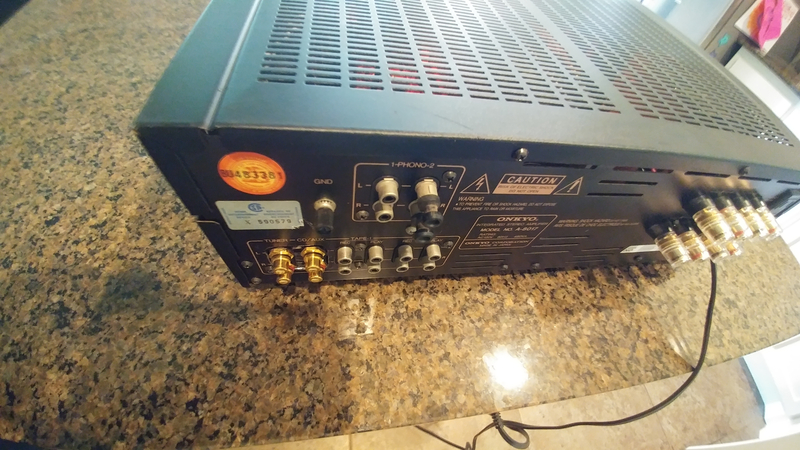 I'm concerned just moving the amp around will cause them to go out of calibration. The VR trimmers arrived and will deal with the swap-out shortly. 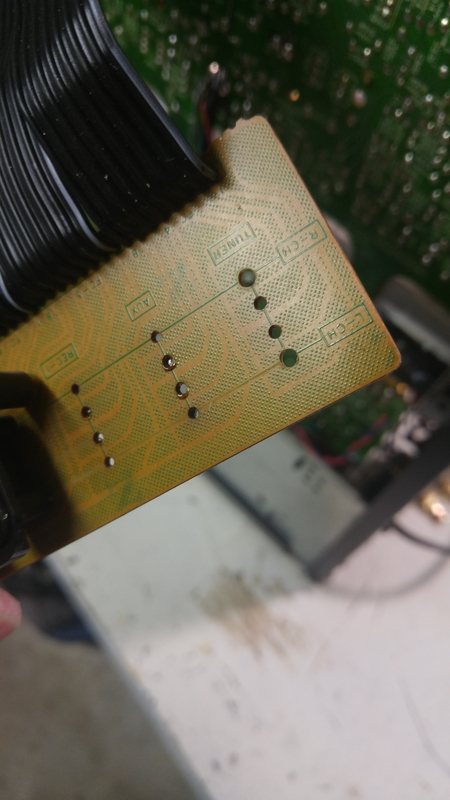 I ran a DMM across the bottom PCB traces at factory trimmer and found that left channel showed 3100 ohm and right was 3400 ohm after the bias was dialed in best as humanly possible. 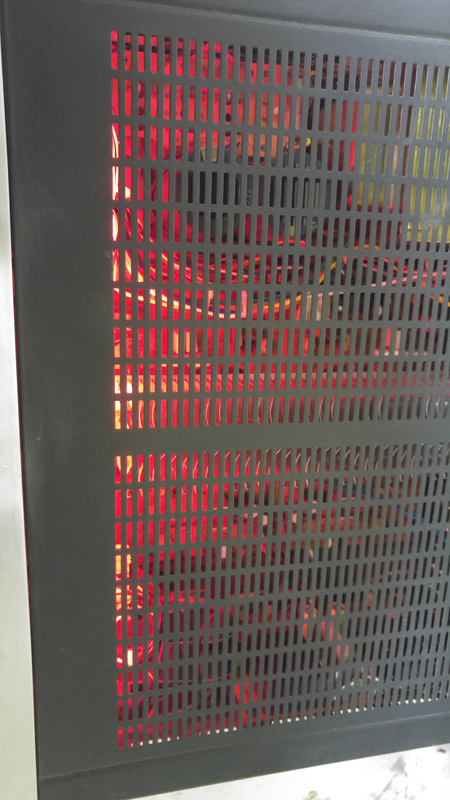 So I'll preset each one accordingly with DMM, solder in, then re-do idle current procedure. Oh....and whoever said the wire upgrade/addition would increase bass response... You were so right....along with the lower mids. It’s a 2270 from 1974, the original filters were 6800 or 9000uf can’t remember, I bumped it to 10000uf as AK fellows recommend me. I think I heard sound improving on both ends at the time. 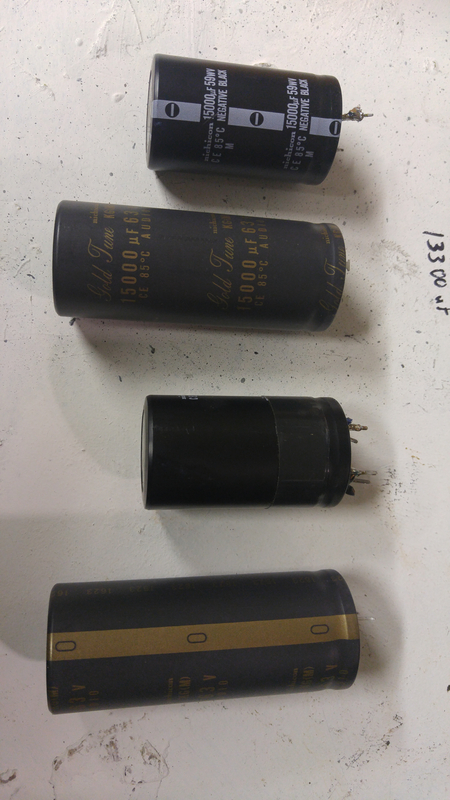 Other than that, replaced all electrolytic and tantalum caps, the original films were left alone. 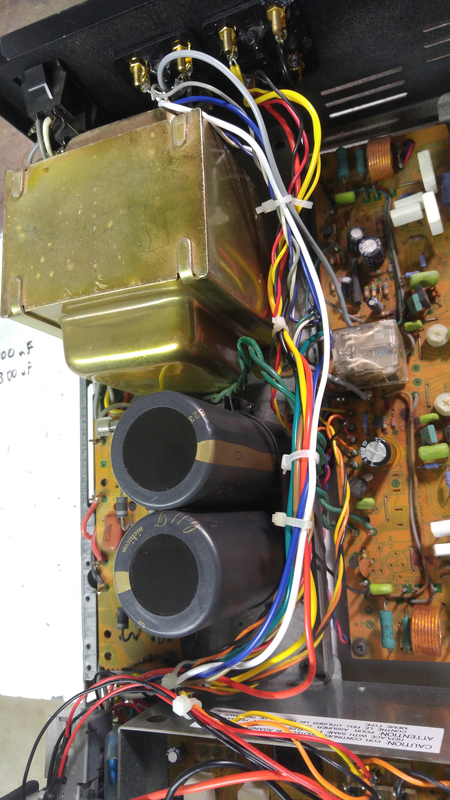 Also, the relay, obsolete diodes and transistors were updated with better replacements, this reduced unwanted noise to nothing. It was restored about 6 year ago, it will be good for another 40 years. 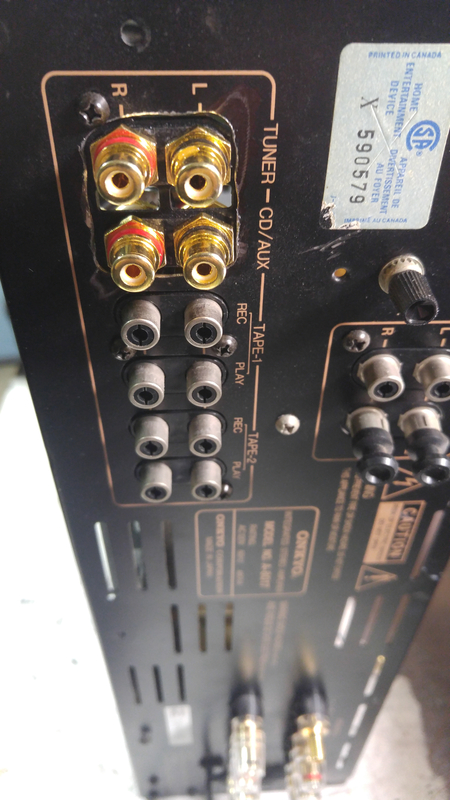 Good job with your Onkyo! 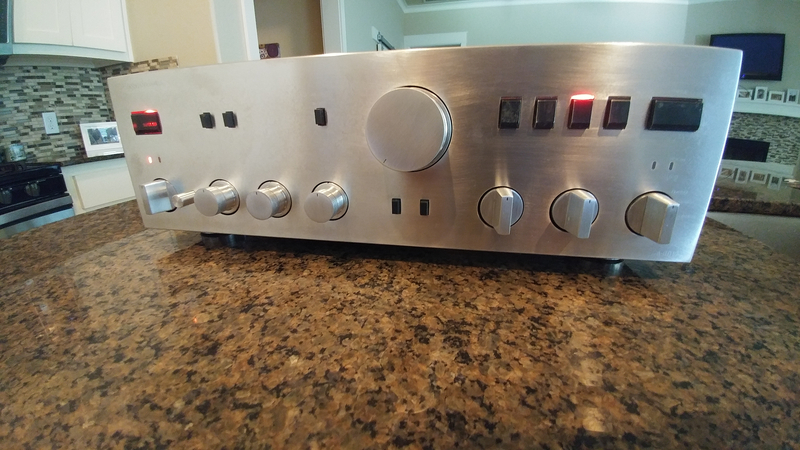 I find restoring old unit very rewarding. 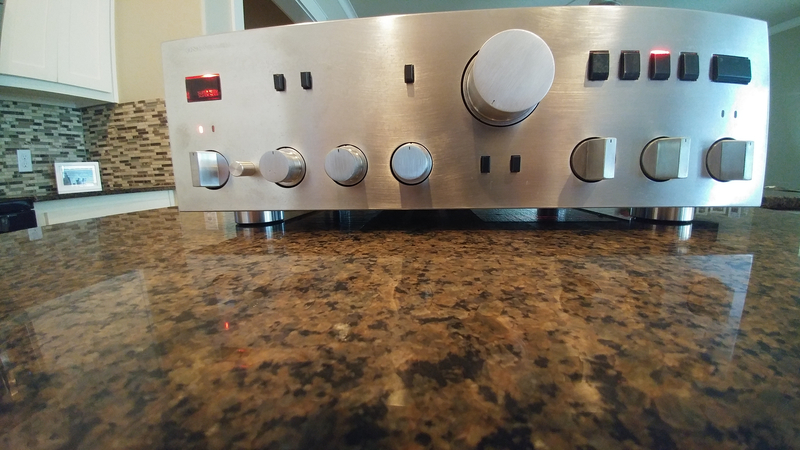 I will try the Silmic 2's when I go to recap the rare Scott receiver I have (and not mod it otherwise). Currently I cannot find a service manual for it anywhere. 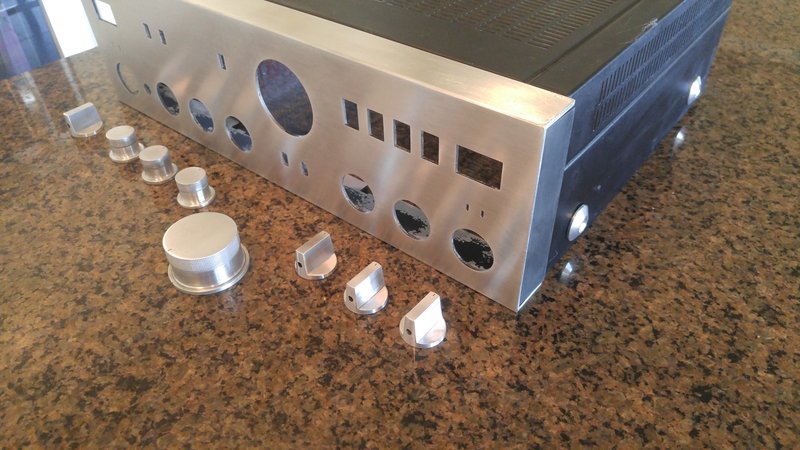 I commend your recent speaker restoration project while keeping the factory look. Nothing is ever "factory" when I'm done with it hehe. Stay away from lower Elna's there are a few known to puke and the stuff inside is terribly corrosive. I KNOW from experience. 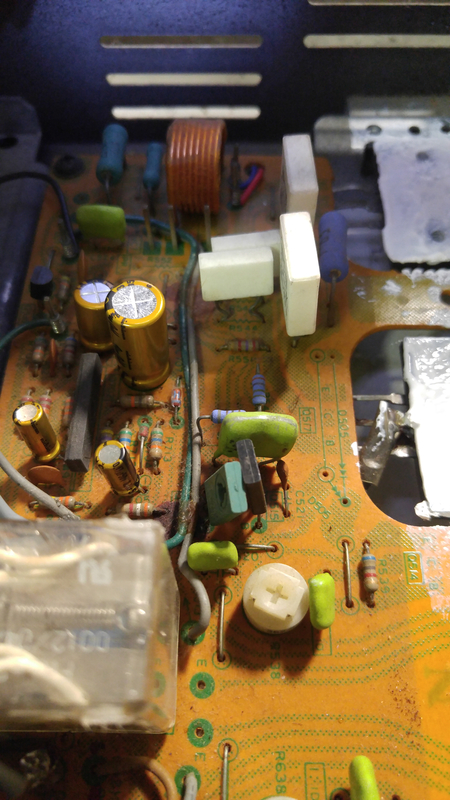 It will seep down the electrodes and get into and eat the traces completely away. 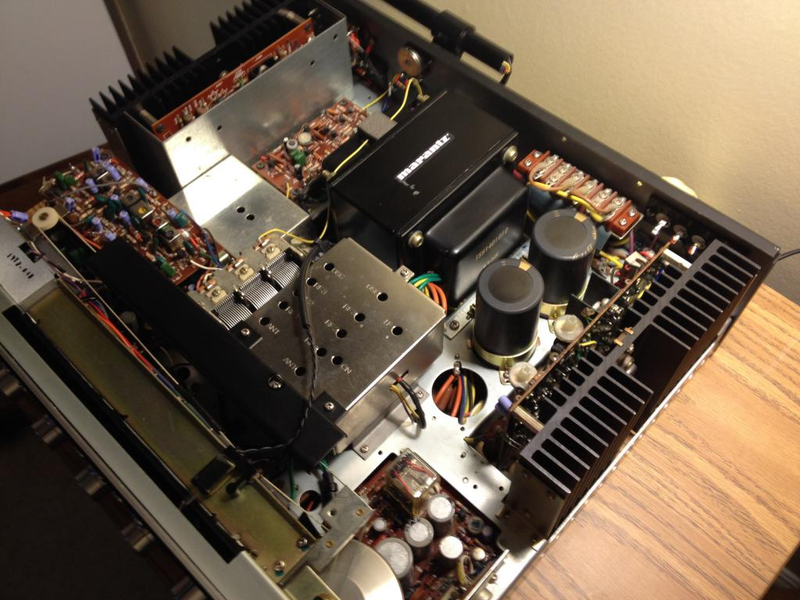 One of the Elna is Duorex II Sony ES stuff used them. I don't think they're made anymore but if you see them get them out pronto. The Cerafine are the lower end Elna Audio Caps. 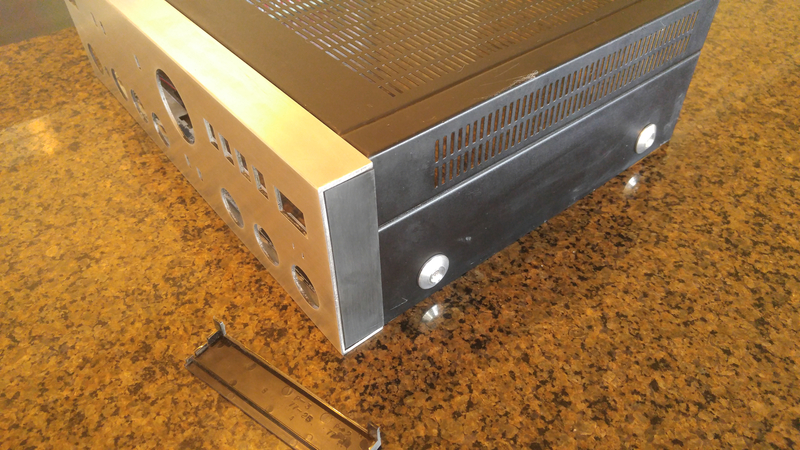 Busted out die grinder and modded gold rca terminals to fit factory PCB mounts...very tedious, but happy with the sound. 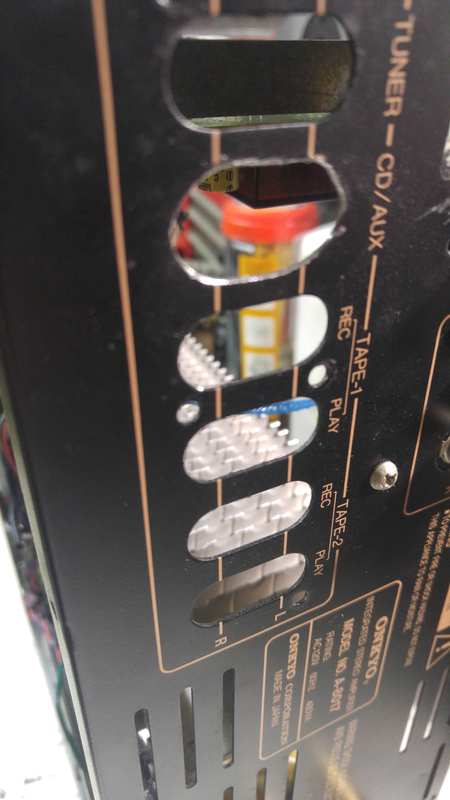 You can cheat by drilling the RCA center terminals pins to 0.110" dia. 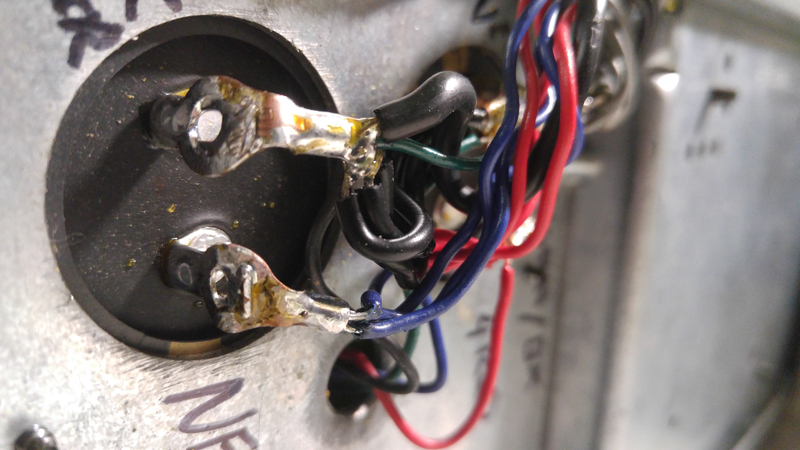 And they solder right in. Looks good but you might want to deburr that edge! 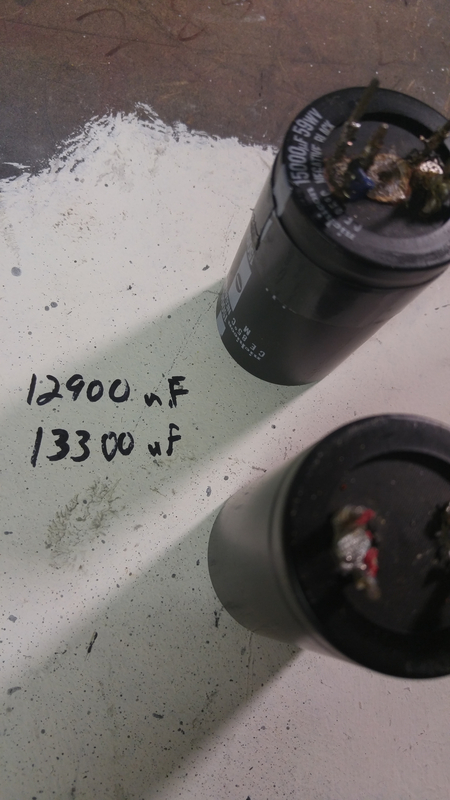 I did and used a black marker where the grinder went rogue. I went rogue in the last pic and just took the bridge out hehe. 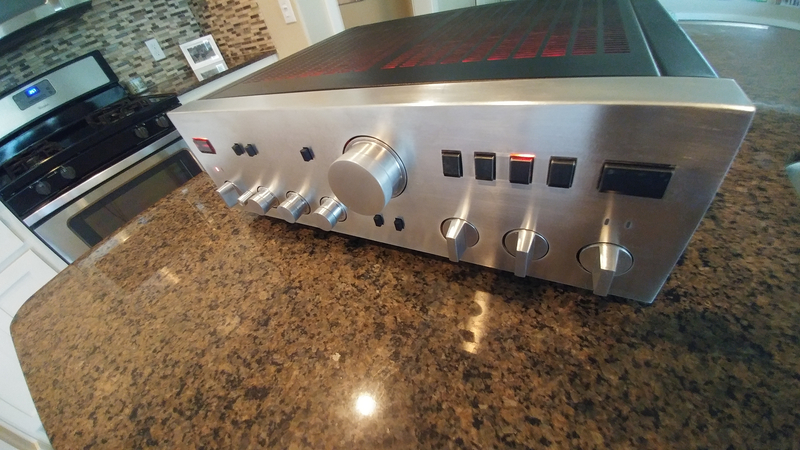 Does it matter if the hex/outer body of the new RCA contacts the metal case? Almost forgot about this thread. 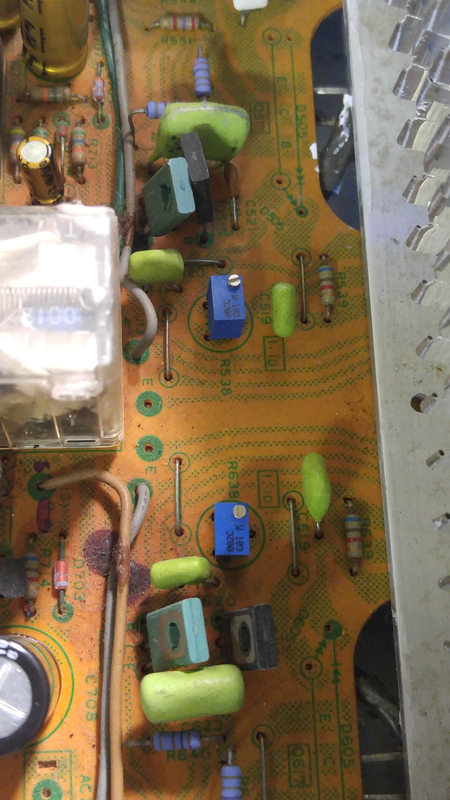 I started working on an Onkyo A-8190 back in May and placed a full order of Caps for that and all the resistors in the amp board to rebuild it. 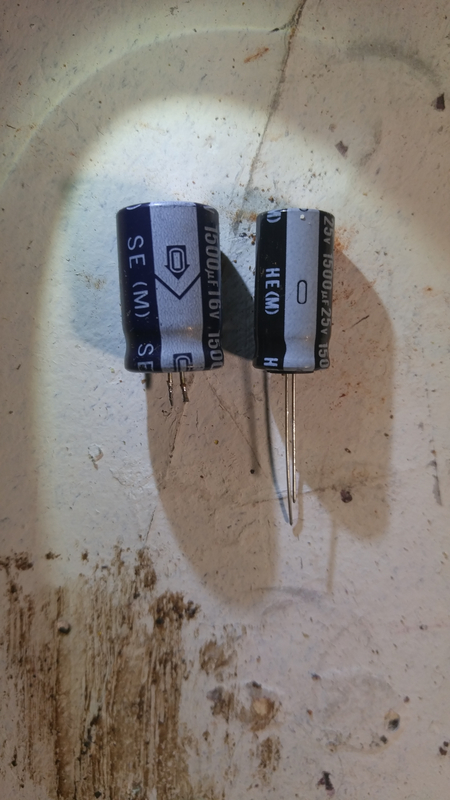 I also had a few more Cermet resistors ordered for this A-8017 and they showed fortunately.